honestly, im getting annoyed by those people, that let not one thread or posting slip, to tell everyone how they dislike painkiller. the fun thing is, they can easily filter out painkiller news and topics, but i cant filter out stupidity in general. it kinda reminds of the same bashing, that was going on for month (years even), against q3 by old quake world players. Read the rest over at esreality.com and tell him why you agree or disagree. Before downloading, we advise you to back up your files because this version is a beta test. You can download PK++ 0.4 via Steamfish. If you dont have a previous version of PK++, download Steamfish installer first and run it. For those who need an offline install get the full version here. Anyone that wants to host these files, please contact us. If you have problems, run the updater a second time. Keep in mind that you cannot use hacked 1.61 no cd exes. Zaccubus came out on top at a great ZB lan this weekend. A full write up for the event can be found here. The CPL announced yesterday that it expanded the WT stop in the USA from 128 to 256 slots. It wants to provide more gamers an opportunity to qualify for the $500,000 finals. The CPL, as you can read in our previous newspost, postponed the first World Tour stop due to bad weather in Istanbul, Turkey earlier today. So because of this they had to reschedule some things. The Turkey stop will now take place from March 25 to March 27, with the cultural tour in Istanbul being held on Tuesday, 24th March. The second stop in Barcelona, Spain has also been rescheduled, the cultural tour will take place on Thursday, 28 April followed by the PK tournament from Friday to Sunday, May 1. Due to inclement weather conditions, the Istanbul International Airport in Turkey has been closed. Most other methods of transportation to and within Istanbul are partially disabled. Because there is not a foreseeable end to the record-breaking winter storms occurring in Turkey, the CPL World Tour Turkey Stop has been postponed. At this time, the CPL is negotiating with airlines to assist the event participants with flight reservations in getting the dates for their reservations changed. Additional information will be provided in a more detailed press notice to be released later today. The CPL announced earlier today that the launch of the $1,000,000 CPL World Tour that was to occur with the first Stop in Istanbul, Turkey from February 10 to February 13 has been postponed due to inclement weather. However, Intel has agreed to sponsor an official $20,000 Painkiller World Tour Spain Qualifier for those players who are already on site or who have non-refundable flight tickets and wish to travel to Turkey despite the harsh weather conditions. To minimize travel risks for the attendees, the qualifier will be held at the Radisson SAS Hotel this Friday, February 10, and not at the CNR EXPO as previously planned. Rescheduled dates for the $50,000 World Tour Stop in Istanbul, Turkey will be announced later today. Competitors already qualified for the Turkey Stop will remain qualified despite the schedule change. The CPLs Strategic Partners in Turkey have announced that there will not be an admission charge for the Tour Qualifier, and that the other side-tournaments will be held as previously scheduled. The $50,000 Tour has been rescheduled and we are holding a $20,000 qualifier this week. My math shows that is a 40% increase in prizes for two events in Turkey. The World Tour is not only a tournament, but also a media opportunity for the sport. If our media partners, and some sponsors have canceled their trips and we cannot hold our televised cultural tour then it is not in our best interest to hold the Tour Stop. Furthermore, there has been almost 700 traffic accidents since the storm hit, including one involving the truck that was carrying our tournament computers, which got mostly destroyed and staff member Scott Valencia was bruised up during this unfortunate incident. Things like this happen in life, and now its time for the pro-gamers to show some professionalism and understand that we are thinking of the sport and of their safety; and nothing else. In fact, the only reason we are even holding the Tour Qualifier is because some people are finding it impossible to cancel their tickets (or are already in Istanbul) and we want to make sure their trip there is not wasted. Many people, including myself, have canceled their trips. In cooperation with publisher Dreamcatcher, the ESL have added Painkiller to the ESL Amateur Series(EAS). They will host a Painkiller 1o1 EAS leaugue that will take place over the next six months (01-17-2005 to 06-30-2005). Players ranked #1 to #10 in the German and European Painkiller ladders will be invited to the EAS and being offered a 3 Month Premium Account (since a Premium Account is necessary to participate in an EAS league). Read the rules and subscribe. The second stop of the World Tour will be in Barcelona, Spain, and will take place March 20-23, 2005. The online registration will open Friday, February 11, 2005 and admission is $60eur per person for the four day event. The Spain World Tour Stop will take place in Barcelona at the Palau Sant Jordi. This venue is conveniently located 20 minutes from Barcelona (BCN) Airport. A special discount code and hotel information will be available on Friday, February 11, 2005. A World Tour Greeting Desk located at the hotel will be available commencing March 19th to assist gamers with questions and facilitate the check-in process. Full cultural details will be released on February 11th, and will include: a tour of the city’s important historic and architectural sites, dinner at an exclusive restaurant, and a VIP lounge at one of Barcelona’s hottest clubs. The official tournament game of the Cyberathlete® World Tour is Painkiller: Black Edition. The Tour Stop will also host tournaments for Counter-Strike: Source (25,000€) and WarCraft III (8,000€). The CPL have announced the details of the first stop of the World Tour. The first stop of the World Tour will be in Istanbul, Turkey, and will take place February 10-13, 2005. The online registration will open Saturday, January 15, 2005 and admission is $65 per person. The Turkey Stop will take place in Istanbul at the CNR EXPO. Conveniently located two minutes from Atatürk Airport at the intersection of E5, TEM Highway and the Coast visitors coming from foreign countries can have access to CNR EXPO without having to travel through the busy traffic of Istanbul (see animation). A special discount code will be available on Thursday, January 20th for the Radisson SAS Hotel Istanbul. 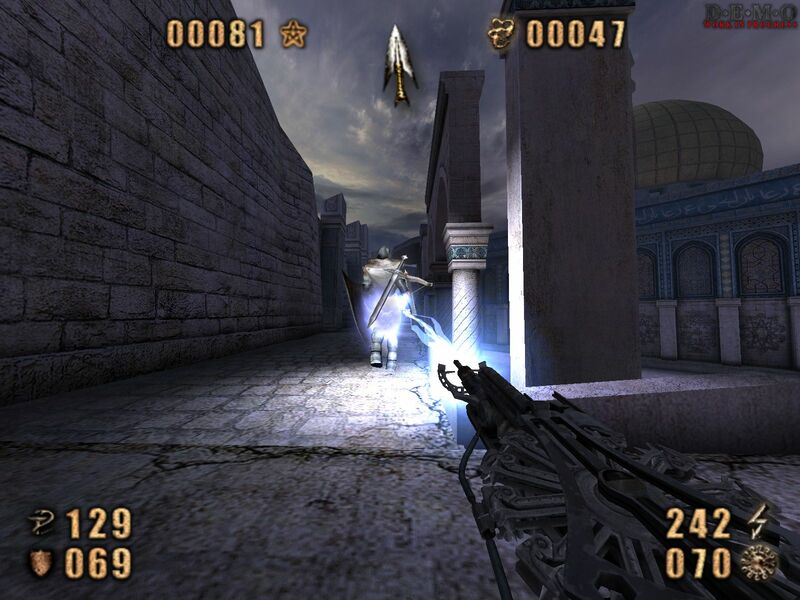 Gamers wanting to participate in the free Cultural Tour taking place on Thursday, February 10, 2005 should arrive in Istanbul on February 9th. Read the details here on the Cultural Tour. The Tour Stop will also host tournaments for Counter-Strike v. 1.6 ($15,000) and WarCraft III ($5,000).